BRIGHTON, Mich - With the company's increased production and massive lineup of new vehicle debuts on the radar, it was time for Ford to Improve Their Virtual Crash Computing System. A 50 percent increase in computing power will allow Ford to maximize the amount and speed of virtual vehicle crashes as well as ensure the highest level of safety for customers. Ultimately, this technology will give Ford safety engineers and vehicle evaluation teams more data at a faster rate. 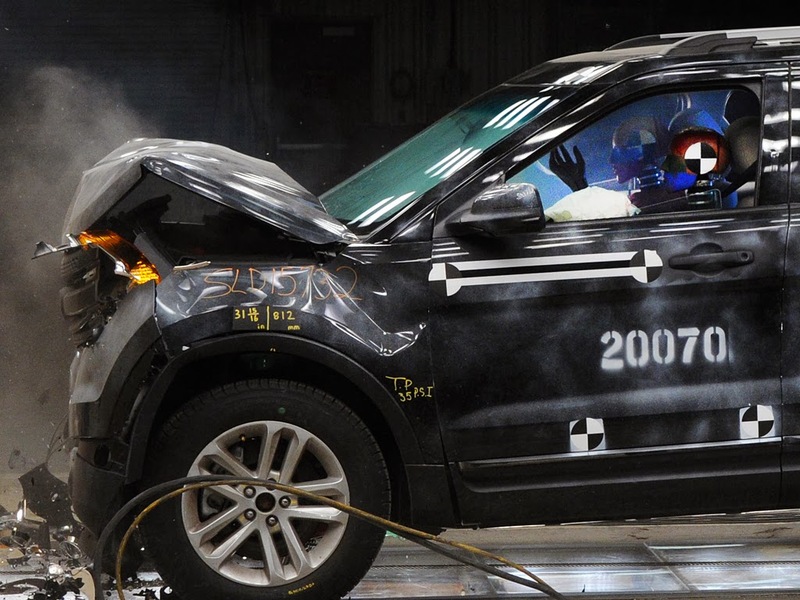 Ford just recently conducted its 20,000th full-vehicle crash test at the Dearborn, Michigan development center. The physical crash tests are combined with virtual crash testing, which provides Ford with more safety data at a faster rate than ever before. These tests help ensure that Ford vehicles meet or exceed industry safety requirements in the global markets that they are sold in. All of the latest body styles, features and enhancements on vehicles have brought on unique regulations in many countries. Now with the investment in technology, and of course the hard working team, Ford is able to manage this increased workload better than ever. Since Ford's first crash test in 1954, technology has allowed them to continue to increase the number of vehicles tested. Ford's crash barrier facility can be adapted to perform various vehicle tests including frontal, side and rear impact tests for restraint and airbag system evaluations. These tests are typically performed at speeds ranging from less than 20 mph to more than 55 mph. Vehicle preparation for these physical tests take anywhere from a few days to a few weeks, depending on how complicated the test is. After the full-vehicle crash test has been completed, the team at the crash facility can provide safety engineers with a range of data in just under 30 minutes. With a busy year ahead, there really was no better time for Ford to Improve Their Virtual Crash Computing System by 50 percent to get the most vehicle crash tests done in the shortest amount of time. 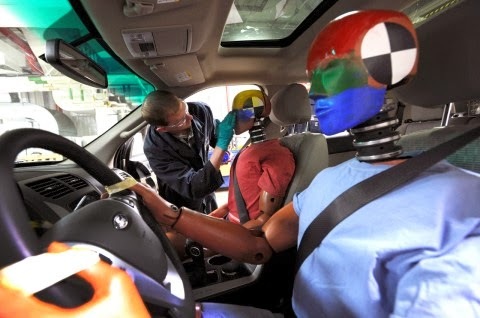 Most importantly, these tests will provide even more information to ensure the safety of all Ford customers. If you are looking for a top safety vehicle to keep you and your family safe, visit us at Brighton Ford! We have a huge variety of new, used, and pre-owned Ford vehicles. Check out one of our personal favorites, the 2014 Ford Flex! We are located at 8240 Grand River Ave. just north of I-96 in Brighton. We are a family owned and operated business that strives for customer satisfaction. For more information on Brighton Ford visit BrightonFord.com or give us a call at (800) 836-8206.